A+® VLabs Science Pack 1 provides a way for educators to engage students and present scientific concepts and experiments. Students observe, record, and enter data using methods similar to those used in live laboratories. All content is based on state and national standards for secondary-level science and science labs. In Science Pack 1, students experience 11 interactive experiments. Each module includes student objectives, curriculum content, tutorial instructions for preparing and completing experiments, the virtual experiments themselves, and an online quiz and/or a printable worksheet. Science Pack 1 virtual laboratory content correlates with and complements A+nyWhere Learning System science courses for grades nine through 12. Agree’nSign allows educators to securely e-sign forms and agreements online. Recipients can e-sign without an account. The tool lets users esign contracts in minutes and offers document tracking, signer verification, and 128- bit SSL encryption. Price: Contact company for pricing; 10-day trial available. CourseCare connects instructors to new tools and teaching ideas that help engage students and deliver improved learning outcomes and academic success. Accompanying Cengage’s suite of digital products and services, CourseCare helps instructors for the duration of a course. Service and training consultants provide them with flexible, customizable training, and digitalsolution coordinators partner with each instructor to offer ongoing service and support throughout a course, as needed. The product includes Desire2Learn Instructional Design Wizard, a new tool that simplifies and streamlines course development by using an instructionaldesign framework. Learning Suite 9.0 also includes Desire2Learn Course Builder, a drag-and-drop interface within the Desire2Learn Learning Environment that enables the organizing and managing of a course’s development, lessons, and materials. 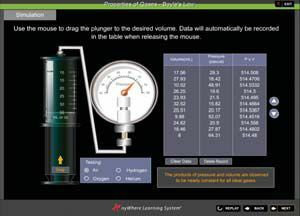 Desire2Learn Learning Repository 5.0 improves the search for and storage of learning activities, and it now also handles assessments and quiz questions. Desire2Learn ePortfolio 3.0 takes social learning to a new level with improved dashboards and the expansion of open APIs and Web services. DrawPlus X4 has been integrated into the Serif Design Suite, a wide range of graphics software programs. The product shares an interface with other software programs in the Design Suite, enabling teachers and students to quickly become familiar with the software. DrawPlus X4 offers students of every ability extremely easy-to-use tools for vector drawing, stop-frame, and keyframe Flash animations and Web graphics so they can produce polished results. It also includes AutoTrace Studio, which allows students to convert bitmaps to vectors; Flash Animations For All, which makes it easy to define movement when creating Flash animations; and Blend Modes, which let students combine objects, colors, textures, and more. Price: Single user copy, $149; site licenses start at $2,200. Edline and SchoolDude unveiled an integrated product strategy that will enable school clients to customize and publicize information on school, community, and district calendars. The new product streamlines the flow of information between teachers, faculty, staff, and parents and simplifies the submission of support-service requests within the Edline portal platform as well as the syndication of SchoolDude’s facility-use calendar and event data to the platform. Einztein, a nonprofit onlineeducation search guide, offers more than 2,000 complete online courses from more than 100 providers that have been categorized into 35+ subject areas and reviewed by scholars with expertise in the subject matter. Only complete courses are included in the guide, whether they be semester-long classes in physics or threelecture series on 17th-century art. Einztein has simplified the search for online courses by offering an easy-to-use search box and subject browsing. Users can filter by course provider, subject matter, tags, and media type and browse course descriptions. ePrep’s learning methodology is simple: The student completes an ePrep practice test offline under timed conditions, then transfers answers from the offline answer sheet to one online; after clicking “Submit Answers,” the student can review a projected score and immediately launch into a video review of questions that were skipped or answered incorrectly or those that were answered correctly. ePrep Analytics tracks student performance against hundreds of content and teststrategy areas. ePrep’s Study Hall then uses ePrep Analytics to guide student-specific remedial efforts. The Essential Electronic School Office (TEESO, a cloud computing enterprise) offers a suite of online products that provides school administrators with the tools and services necessary to manage parentteacher administrative tasks, such as scheduling parent-teacher conferences; scheduling, staffing, and overseeing parent-school volunteer projects (PTA); and communicating with parents via email blast, including important school documents that are maintained in a secure electronic vault. app4mac introduces Giddy Up, a secure Web browser designed for kids that enables adults to restrict access to some Web sites, the operating system, system settings, the downloading of files, and applications. Giddy Up has a wide range of additional functions that will allow adults to customize their Web browsers to suit their specific needs and requirements. Finishing the Dream is a new free online video series about the civil rights movement that includes interviews with people who participated in it. Other features are more than 100 stories about the 60-year movement from the NBC News archives and an embeddable video widget that will be updated monthly with new video content. The Florida Virtual School’s FLVS Physical Education course for elementary school actively engages students in 150 minutes of physical activity every week, the minimum amount of time required under the new FIT Kids Act. Aligned to both state and national PE standards for grades three through five, the new course is broken into 30-minute segments that require students to apply critical-thinking skills by planning and analyzing their own goals in the areas of health, nutrition, and wellness for a lifetime. Embedded assessments leverage skill-based rubrics, collaborative projects, and interactive games. The K–12 Progress Monitoring Bundle is designed as a comprehensive assessment solution for K–12 teachers and administrators looking to effectively monitor progress, differentiate instruction, and increase student achievement. The new Progress Monitoring Bundle includes research-based tests, TurningPoint 32-Seat RF LCD Student Response System, TurningPoint, and TurningPoint AnyWhere; technical support; and a one-year subscription to Performance Matters. The Lightspeed Guide Browser for iPad, iPhone, and iPod Touch regulates and monitors Web browsing on school-distributed devices when used in conjunction with Web Access Manager, the company’s smart Web-filtering software for school networks. The filter-integrated Lightspeed Guide Browser provides CIPA-compliant Internet filtering, the ability to block all forms of proxy servers (anonymous and secure), forced SafeSearch for Google and Yahoo! search engines, local policy control (it integrates with Active Directory, LDAP, and Open Directory), and more. Motorola AirDefense Solutions offers a suite of vendor-agnostic WLAN analysis and troubleshooting products that allow organizations to proactively optimize wireless LAN performance as well as troubleshoot RF problems remotely. The product also ensures network reliability, offers remote network monitoring, and maximizes the availability of WLANs while minimizing impact on network engineers, thus reducing operational expenses. Organizations can now reap the full benefits of wireless mobility while ensuring that business processes are carried out on a trusted and secure network. Nearly 300 new lessons in five courses have been added to NovaNET, an online program geared to students in grades six through 12. These new additions augment the current suite of offerings in critical subject areas, like language arts, social studies, science, and math. The newest courses include Geography, a two-semester course that has 104 lessons, including a map-reading lesson; American Literature (English III) and British Literature (English IV), a two-semester course; Integrated Math 3, which offers 78 multimedia interactive lessons that combine content from Algebra I and II NovaNET courses; and Biology Investigating Lab Lessons, which allows students to learn with 14 new video-based lab lessons. Scholastic has announced the launch of a digital extension to Scholastic News magazine called Scholastic News Interactive. Scholastic News Interactive is free to all current subscribers to Scholastic News. The new digital features of SN Interactive include Digital Issues and Skills Sheets, a complete digital flip version of every issue along with skill-building pages that can be used on a whiteboard or with a projector; and Anchor videos, which help prepare students to read and understand the articles. Each issue’s feature article is available on two reading levels. With SoftChalk CONNECT, site visitors can search for and find Web-based learning activities, also known as reusable learning objects (RLOs), to embed or link to almost any Web page, including blogs, personal Web pages, and SoftChalk lessons. In addition, users can create and publish Webbased RLOs to the site for personal use or to share with others. SoftChalk V6 also simplifies the development of learning content with new features and enhancements. Price: Educational pricing, $595/license; discounts available for purchases of more than 10 licenses. Dell Latitude 2110 (www.dell.com) offers several enhancements. In addition to the rubberized coating on the chassis, the optional keyboard, featuring antimicrobial protection, now also includes a “tamper-resistant” design to help prevent the loss of key caps. An optional high-definition Truelife display (1,366 x 768) and an optional Broadcom Crystal HD accelerator make the most of rich media content and online assessments. For schools moving to digital textbooks, the Latitude 2110 permits screen rotation so that students can read the netbook as they would a book by turning it on its side and holding it. It is scalable and has connectivity options like integrated WiMAX support and an embedded mobile broadband card. The netbook also boasts up to 10 hours and 13 minutes of battery life with the available SSD drive (storage of up to 64 GB) and optional six-cell battery. Netbooks are available in red, black, and blue. The system, available now, starts at $389. eBeam Engage (www.luidia.com) is a multimedia interactive whiteboard solution that features speakers, a recording mechanism, a magnetic keyboard, and a lightweight stylus integrated into a single console for a smoother workflow process and seamless presentations. The product eliminates the back-and-forth between the computer and the interactive whiteboard. It includes the eBeam Home button, which can be customized with favorite Web sites, applications, and more, allowing presenters to jump to their favorite selections right from the board. In addition, eBeam Engage provides a keyboard for quick text entry as well as a physical knob for scrolling through documents. The PC Series Mobile Powered Workstation (www.norriso.com) has onboard power to run a computer, a printer, and other devices simultaneously. Generous shelf space provides room for products and other items. With six-inch rubber swivel casters and no cord trailing behind, a PC Series Workstation can be easily rolled and positioned for optimal productivity. The casters can be locked for stability once the workstation is in place. All models have a load capacity of 500 pounds. The unit’s rechargeable battery offers integrated, seamless power for 12 hours of normal use. Accessories include an additional shelf, drawers (including a keyboard drawer), a laptop holder, an 18- x 20-inch pullout printer shelf with a capacity of 60 pounds, a CPU holder, two types of flat-screen holders, and a bar-code-scanner holder. All can be added in quickly and adjusted to suit the operator’s height and needs. Hitachi America (www.hitachi-america.us) has introduced several networkable 3LCD projector models. The new CP-X4011N, CPX3011N (shown), CP-X2511N, and CP-X2011N feature networking technology that enables users to share data among several projectors. The four new projectors also make it easy to send images from one or more networked computers. They also include new features, such as a USB connection, allowing users to quickly and easily display content from a PC via a USB cable. Also new to Hitachi, the projectors are equipped with a microphone input that, in conjunction with two built-in 8W speakers, can be used for audio even when the projector is in standby mode. ELMO USA Corporation (www.elmousa.com) has announced the Wireless Tablet. Teachers and students can utilize this product to collectively draw, annotate, manipulate images, and interact with multimedia resources and applications from all areas of the classroom (with a working range of 50 feet). The ELMO Wireless Tablet comes with Image Mate Accent software, a suite of annotation tools used to create and add effects for greater visual impact. Through the Image Mate Accent interface, users can draw on live images projected from a document camera as well as incorporate digital multimedia. Image Mate Accent can also capture still images and record video with audio in four modes, including time lapse for stop-motion or model animation. The HP 4320t Mobile Thin Client (www.hp.com) enables secure access to server-based virtual or blade PC computing solutions while providing the mobility of a reliable notebook PC. Users store data on a secure centralized server, rather than on an internal hard drive, ensuring that data are protected in the event a thin client is lost or stolen. The HP 4320t features HP ThinState tools, HP Device Manager, and preinstalled Altiris Deployment Solution software. Extensive integrated wireless technologies, such as WLAN and LAN, help mobile educators stay productive with ease. The H.264 High Profile (www.polycom.com) is a standards-based videocompression technology that reduces bandwidth requirements for highdefinition telepresence and videoconferencing up to 50 percent. Polycom’s support for H.264 High Profile delivers good video performance at any bandwidth, including full-motion HD-video-quality and fullmotion DVD-quality standard definition (SD) video. The new H.264 High Profile video technology is complemented by Polycom’s Lost Packet Recovery™, which protects voice, video, and content quality during packet loss and network congestion. The ActivBoard 387 Pro interactive whiteboard Mobile System (www.promethean world.com) incorporates an EST (extreme-short-throw) projector that features a 6,000-hour expected lamp life. The EST projector is positioned approximately 41.8 cm from the board to reduce shadow and improve a class’s view of the board and runs on a quiet 28 dB. Other new features include 3-D projection, Crestron-enabled RoomView Management, and HDMI connection options to provide a good signal for audio and video in a single cable. The lockable wheeled ActivBoard Mobile System is easy to move and can be raised and lowered electronically. The Ignite! Stick (www.smarttech.com), made for SMART, provides custom lesson building, assessments, and interactive materials organized for fourththrough eighth-grade math, science, and social studies in any of the 50 states. The product harnesses the same capabilities as the SMART Board™ interactive whiteboard and SMART Response™ interactive response system and is available on both Mac and MS-OS systems. Bretford (www.bretford.com) introduced the Juice Power System, a tool created to help facilities increase connectivity, reduce installation costs, and protect valuable technology equipment. The product allows up to four tables and eight computer stations to be powered from a single outlet without the expense of hardwiring or the clutter of individual power strips. The Juice Power System features a tool-less installation that doesn’t require an electrician or building modification, so it can be incorporated into a facility for less than half the cost of most hardwired components. Absolute Software released a new suite of tools for implementing energy-savings programs. Included in this tool kit are a computer power-management policy guide, an intuitive power-savings calculator, and a 60-minute Webinar featuring a Gartner lifecycle management expert and a school district that has reduced its computer-related power consumption by 79 percent. These and other resources can be downloaded free at www.absolute.com/power. AmpliVox Sound Systems (www.ampli.com) has PA systems and podiums that are RoHS (Restriction of Hazardous Substance) and WEEE (Waste Electrical and Electronic Equipment) compliant. To help stretch forest resources, AmpliVox’s PA systems and lecterns are a made with environmentally friendly particleboard and use recycled postindustrial wood residues. Urban or postconsumer recycled wood fibers are used in the Tafisa panel production mix, which extends the life of the fibers. Green Cross has certified AmpliVox’s raw particleboard panels as being 100 percent recycled and recovered wood fibers. Moreover, in striving to do its part to reduce, reuse, and recycle to conserve energy, AmpliVox has switched to using recycled packaging and biodegradable packing peanuts. The first Dell KACE (KACE.com/Dell) appliance release since the acquisition offers green IT power-management capabilities and an ITIL-ready service desk. The most recent release of the K1000 Management Appliance introduces new capabilities that allow customers to configure and enforce power settings on Windows and Mac OS X systems; pre-defined reports that display energy savings and may be used to qualify for utility rebates; servicedesk functionality, consistent with Infrastructure Library (ITIL) best practices, that simplifies the automation of key IT processes; and Enhanced Smart Label technology, which dynamically groups managed machines for easier reporting and improved automated policy-based management. PolyVision’s (www.polyvision.com) eno is a cradle-to-cradle certified, environmentally friendly interactive whiteboard that helps schools achieve LEED credits. eno does not emit gases, absorb marker stains, or require cords or cables. The eno classroom solutions feature SCS Indoor Advantage Gold® certification; Forever Warranty™ on the surface, which guarantees that the boards will last as long as the building; and recycled content and are completely recyclable. eChalk has many features that help schools decrease their carbon footprint and save money, including digital lockers, virtual homework, online school-parent communications, and a digital weekly newsletter. eChalk also has a Going Green calculator, which demonstrates how virtualizing content saves money and resources, here: www.echalknyc.com/www/echalknyc/site /hosting/ greencalc.html. OWI (www.owi-inc.com) introduced its AMP-1SGRN “Green” Amplified Speaker Amplifier with Priority Audio Override. OWI’s system recently earned UL Environment’s Energy Efficiency Certification (EEC) Mark for ENERGY STAR® compliance. The AMP- 1SGRN Speaker Amplifier with Priority Audio Override product integrates audio along with an emergency paging solution through its Priority Override. Audio on the Priority input suspends the audio on the Normal input and switches the speaker amplifier to pass the Priority audio.